On the left is the ground board against what would be the bottom of the rocker box. 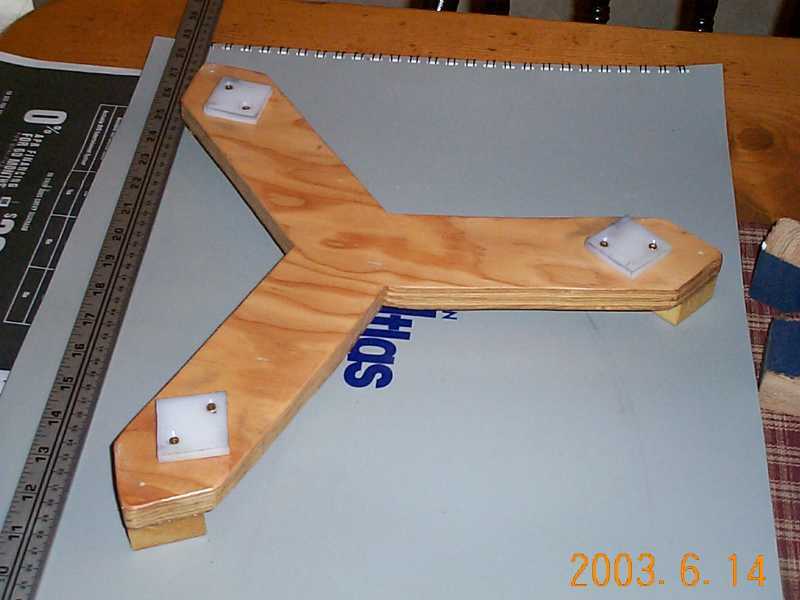 I drew 3 legs 120� apart on a 3/4" piece of plywood and used a jig saw to cut out the complete assembly. Scrap blocks of wood would be glued an screwed as the feet. 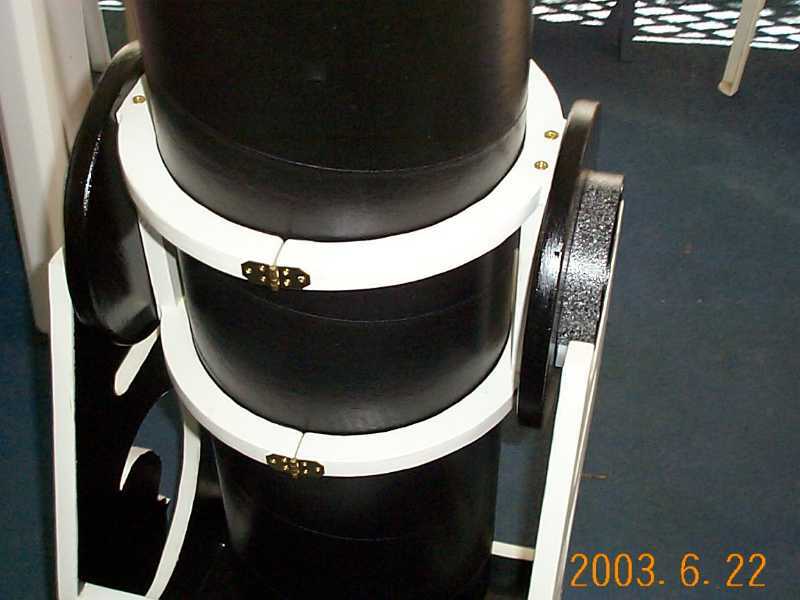 Large Teflon pads were used on the top of the ground board, while the bottom of the rocker box would be covered with Ebony Star Formica. 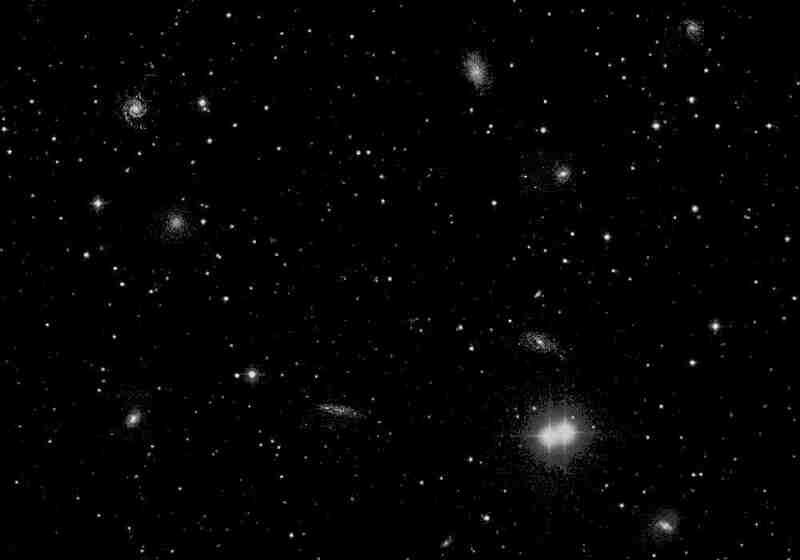 Aligning the holes on the main tube can be challenging. Using a ribbon helps to solve this problem. 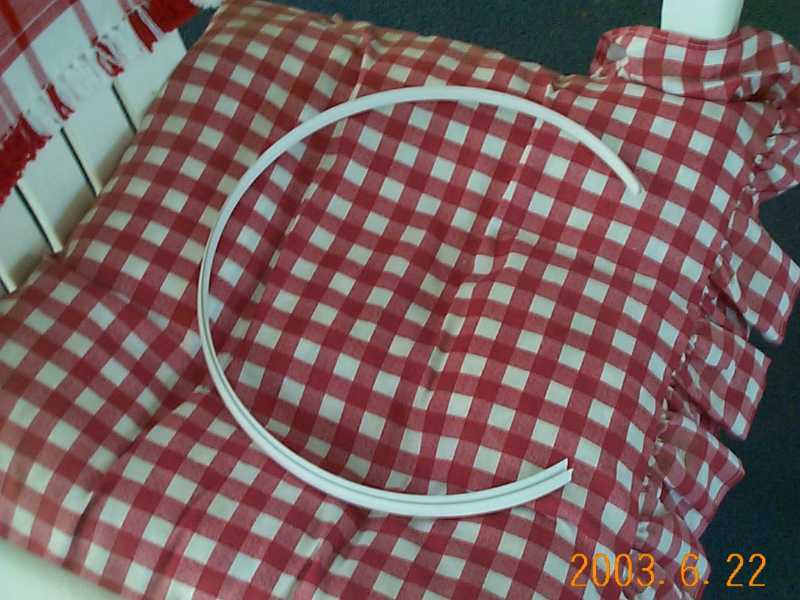 I took a piece of ribbon an made it exactly the outside circumference of the tube, then folded it in half. Using the start of the ribbon an this halfway point I was able to align my hole for the focuser an the exact opposite side of the tube. On the opposite side a marker would be placed. This marker helps to square the focuser with the tube. 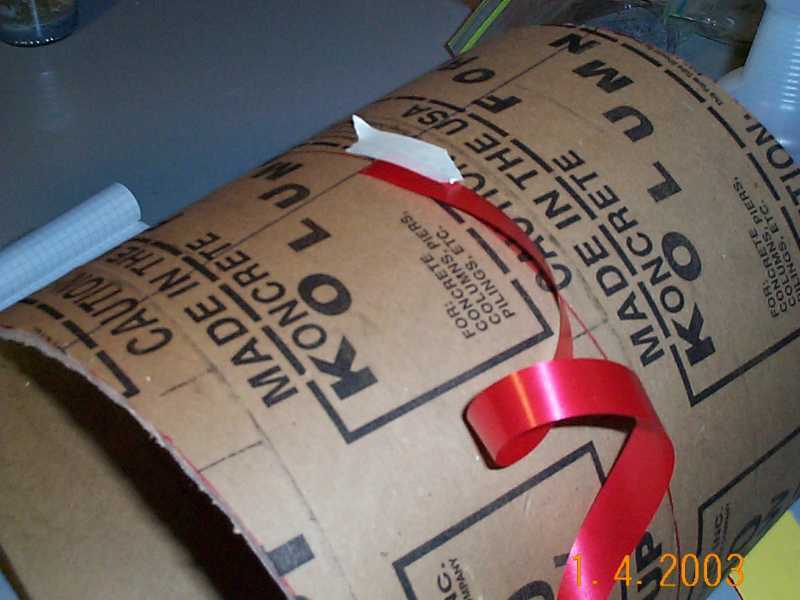 This same ribbon can also be folded 4 times then use the folds to locate positions 90° around the tube. 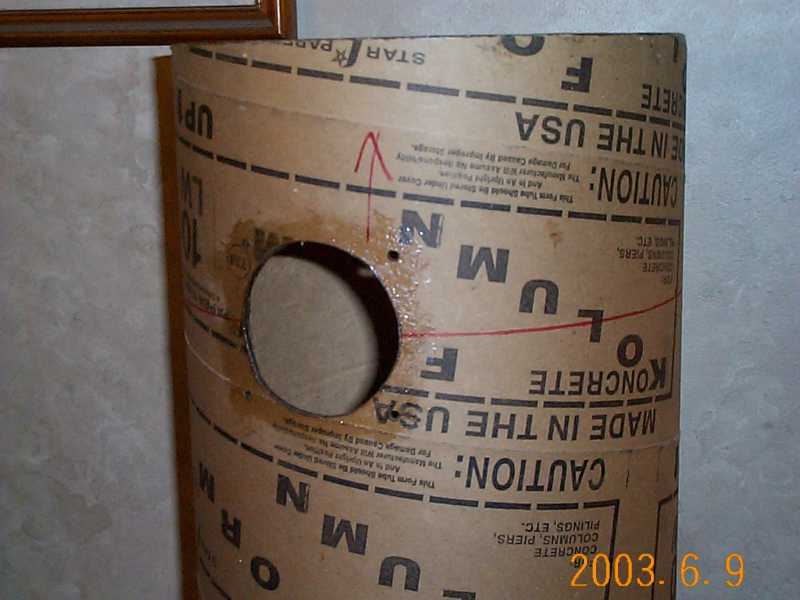 To keep the paper sono tube from collecting moisture and to prevent tearing all the holes are soaked with epoxy glue. Seen here is the focuser hole cut an covered with the protected coating. The actual altitude bearings would be made out of a 6" diameter 1/2" thick piece of sonotube, attached to a 10" plywood disk. 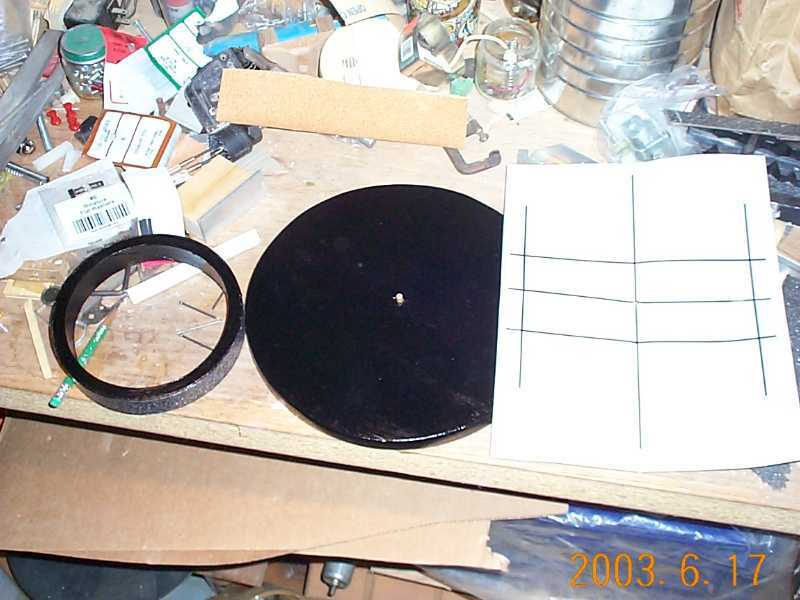 This plywood disk would then be attached to the tube rings. 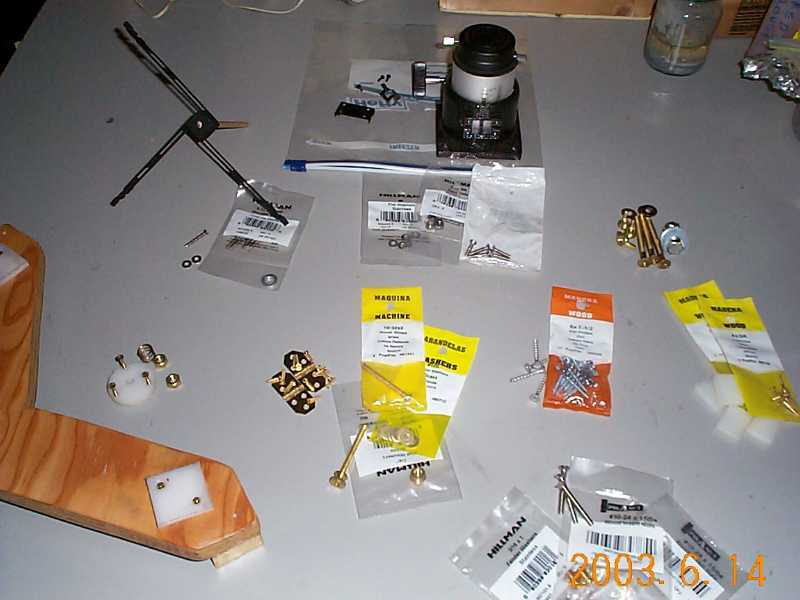 Seen here is all the pieces prior to attaching them to the tube rings. I made a paper alignment of where the 10" ring would be attached to the tube ring brace. 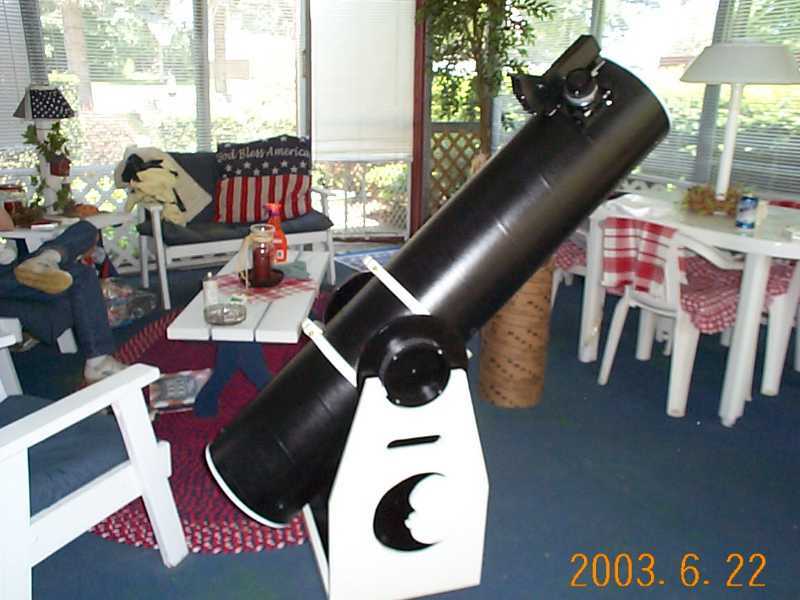 Buying tube edging from some of the telescope manufactures I had found on the Internet can be pretty expensive. My solution cost about $2.00. I bought a piece of 8 foot panel edge molding. I molded this 8 foot straight piece around the circumference of a leftover piece of the 10" sono tube, and baked it in the oven at 150° F for 90 seconds. This was enough time an heat to mold the straight piece into a round coil piece of edging. 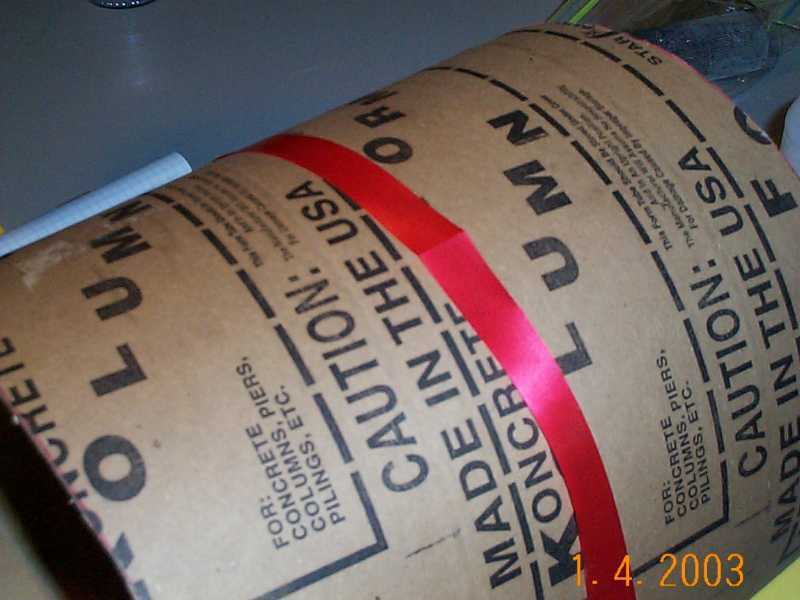 This made the job of putting this material on the edge of the tube a lot easier, then trying to work with a straight piece of edging. 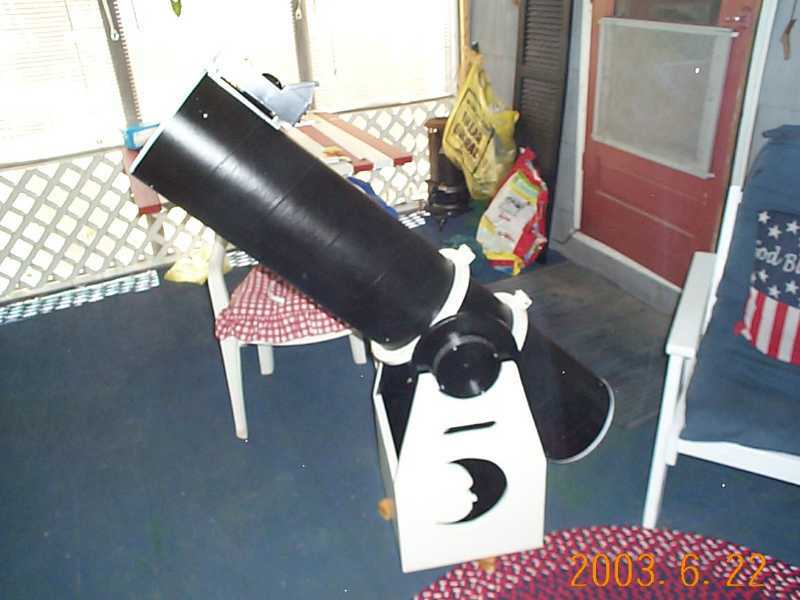 Thought this project all the materials with the exception of the focuser and secondary mirror were purchased from local hardware stores like Home Depot, and Lowes or was something I had laying around the house. One of the biggest costs of the materials was all the nuts, bolts, and screws. All nuts, bolts, and screws were made out of stainless steel, brass, or aluminum. 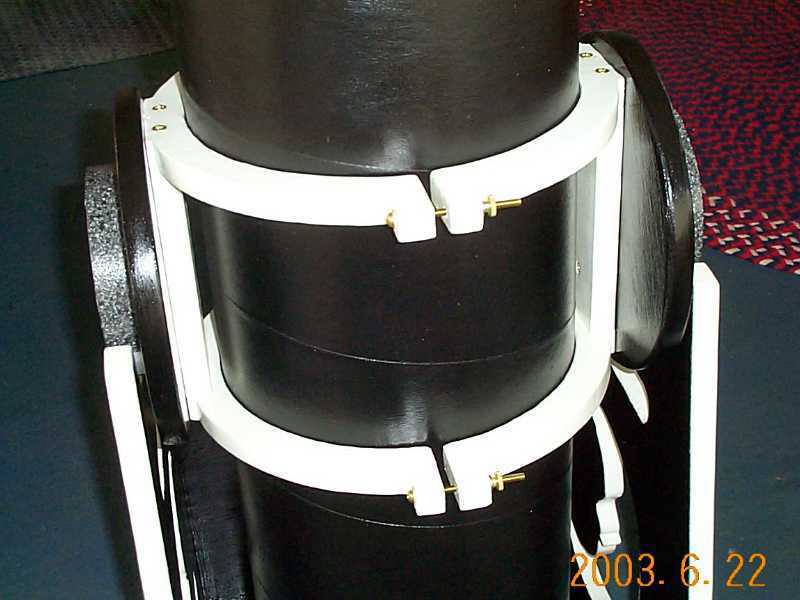 Below is some pictures of the final assembly of the tube rings an altitude bearings, along with the back end of the mirror cell an collimating bolts. 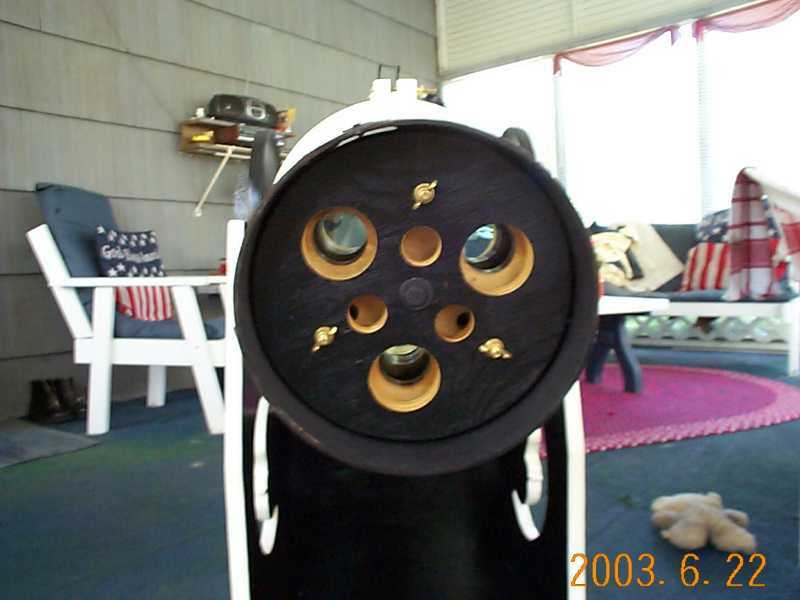 Brass wing nuts were used to allow for easy collimation.